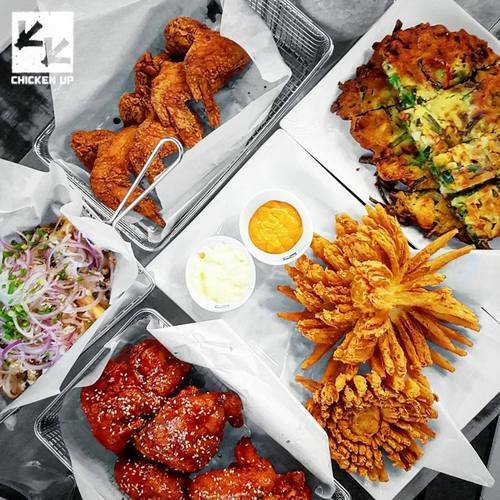 Korean Fried Chicken restaurant chain Chicken Up has four locations in Singapore, one of which is within The Centrepoint mall (176 Orchard Road). 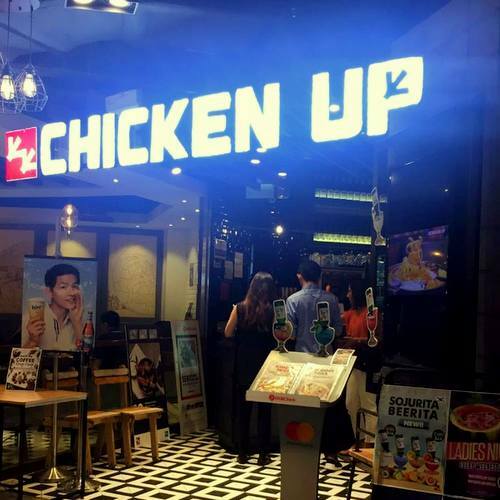 Founded in 2010, Chicken Up is a casual dining place where you can experience great contemporary Korean cuisine, especially Korean-style fried chicken. Chicken Up menu features a variety of Korean fried chicken, the taste secret being that each chicken part is marinated for 12 hours and then double fried to seal in the flavors. Customer favourites include the bestselling Yangnyum (a sweet and tangy flavour) chicken wings, Ganjang (a garlic-soya based blend) chicken wings, Finger Wings, and Original Crispy Fried Chicken. Overall, the menu items are very family-friendly with diverse choices from small bites to stews, noodle selections to bar-chows, and share-worthy desserts to unusual beverages such as unique range of home-brewed, fruit-infused Soju with flavours like watermelon, peach, apple, and pear. The official Facebook brand page for Chicken Up restaurants is available at www.facebook.com/Chickenup. Following the Facebook page, you’ll receive updates about new menu additions, promotional offers, Chicken Up events, and much more.